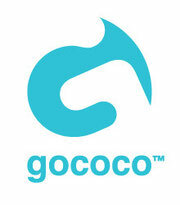 Gococo is a sportwear Swedish brand established in 2010. The aim is to provide the market with first layer in a new and fresh design combined with materials that offer a high level of functionality. Founders, twins Annie and Linnea Wennergren are very passionate about sports and from their own experience in the Sweden's sailing team, they are aware how important is the material if garments are to withstand major stresses. Last year as first sponsored Croatian triathlete from Compressport Germany & Austria I helped Compressport in some way of representing their brand here in Croatia and official distributor for Compressport has appeared recently. I become opportunity to wear and test Gococo socks. Sometimes You really must try some other brands to see and fairly highlight both any positive and negative comments about functionality, quality and design. Gococo’s worldwide sales are growing fast and Gococo is therefore now looking for partners who wants to take the next step with them and build the brand awareness. I welcome opinion of Gococo how it isimportant that products are manufactured under conditions that they can stand and be proud of. They have therefore decided to produce garments in factories where they have control over workers' conditions and that concern about the working conditions of employees in the textile sports industry of others not such developed countries is an important. Gococo socks aim to have impressive features along with its functionality, durability and colourful design and the most important is fact they are based on a natural technology with no added chemicals. Main priority for Gococo company is functionality, which is why they using the high tech material Cocona® as the most effective material on the market, given its outstanding capacity to neutralise odours and remove moisture more quickly from the surface of the skin. Gococo is currently engaged in a highly successful collaborative project with The Swedish Pink Ribbon foundation in helping to raise substantial funds of breast cancer research. After hard evening workouts, I typically wear the compression gear on until bed time. Needless to say I can’t scientifically say yes or no - but I can say that I’ve used them continually since purchase and have no plans to stop. There’s no doubting that there is some element of ‘relief’ after tough training sessions. I'm looking forward to wear and test Gococo socks and write some further review. I'm thankful to Mrs. Annie Wennergren to become opportunity to test Gococo socks free of charge.